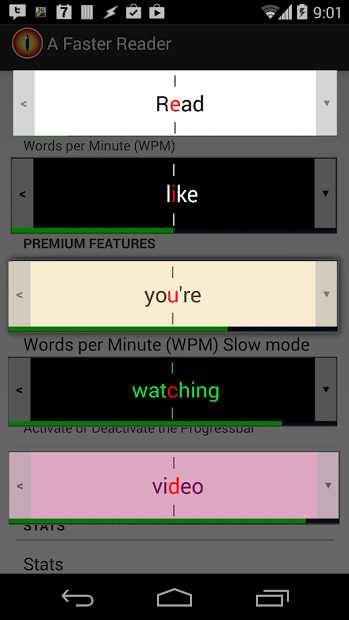 A Faster Reader is an App that lets you read at higher speed. Read text like you’re watching a video! Send text from other Apps to AFR with Android’s Share button. For example, open a page in your browser and share it with AFR to start reading. It is compatible with many Apps like, Pocket, Zite, Flipboard, Feedly, Zinio and more … You can add books as well with the next formats: .txt, .html, .pdf, .epub. 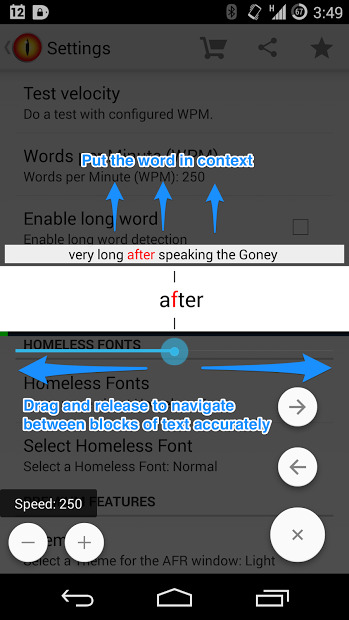 You can pause and resume reading by tapping the text. There are many cool features in this app, but Chromecast compatibility its only accessible by getting the Premium version of the app. You can use Chromecast with the free version but it is slightly limited.